For people that have a goal in life and want to reach their goal then the first thing I suggest you do is to write down your goal. Be very specific as to what you want your goal to be. Do you want to become a very muscular bodybuilder? Then don't just write down that you want to become muscular. Do some research on your body type in deciding exactly what stats you would like to have? Maybe you will want to lose 50 pounds of fat and gain 20 pounds of muscle and have less than 15 percent body fat. Whatever you're goal is you need to be very specific. You need to be very specific with your goals. Writing down goals is often something that is recommended by many experts. It’s something that works and is highly recommended that you do regardless of what your goal may be. The only exception is if you want to do something criminal such as to rob a bank. I don't recommend you rob a bank but if that is your goal then I definitely don't recommend you write your goals down because it can and will be used against you in a court of law. One thing but a lot of people don't have is the dedication to reach their goals. 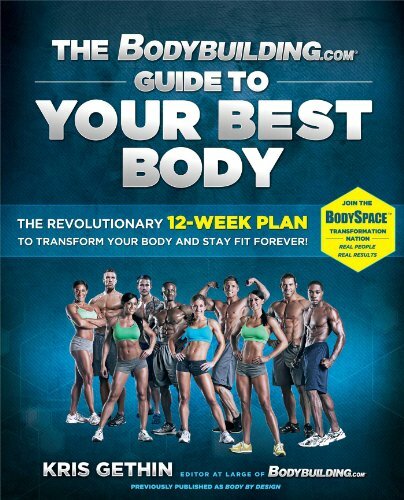 If you have a strong desire to become a bodybuilder then you need to be dedicated towards the bodybuilding lifestyle. Do you want to start a very successful blog or vlog then you need to be dedicated to writing blog posts regularly or uploading vlogs to YouTube on a regular basis. Dedication is often the 1 key component that keeps people from being successful. Dedication to something can be learned. By applying yourself daily towards your goals you will also be helping to build your dedication. Dedication is vital if you want to pursue your passion in life. Getting positive results is something that can help people get more dedicated. if the goal you have is to be a bodybuilder then it can be very motivating when people start noticing and commenting that you look much healthier because you've lost a lot of fat and put on some more muscle. Sometimes hearing stuff like that this is enough to help keep you dedicated toward your goals. Don’t quit before you reach your desired goals. Never quit before you reach your ultimate goal. Credit: Flickr/PhotoAtelierA lot of times you also might have people in your life that will ridicule you or try to tell you how you have such a stupid idea. Why do you want to waste all your time in the gym? Why are you trying to write a book to sell online? What do you know about starting your own business? You cannot be successful unless you go to college. You will hear all kinds of things and it can be hard not to get mentally demotivated when you don't have the support that you feel you need. It’s in these times that dedication towards your goals will allow you to reach down deep and continue on doing what you want to do in life so you can reach the goals that you want to reach regardless of what anybody else thinks.